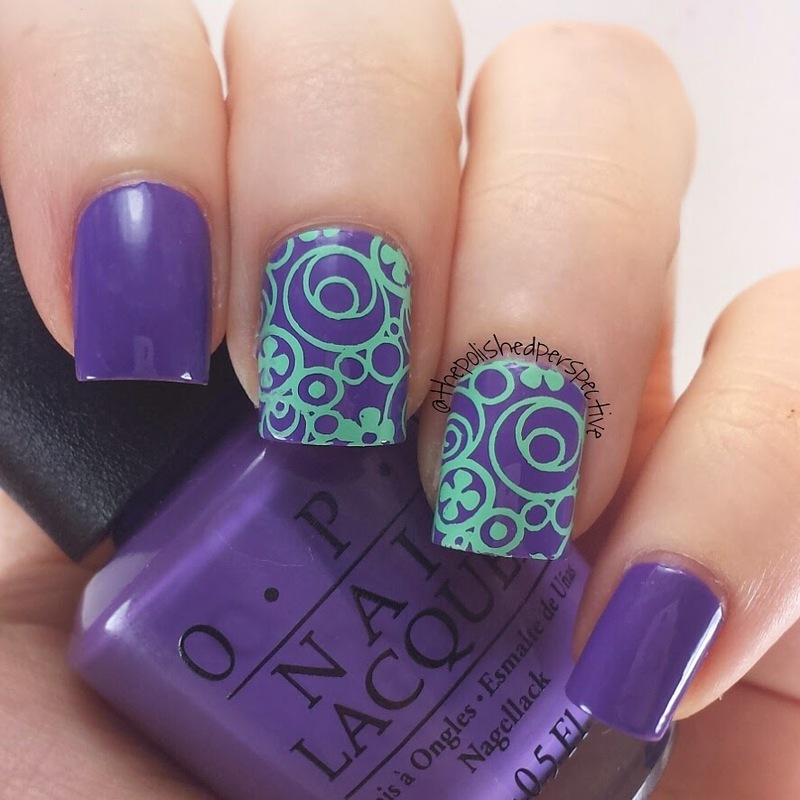 I went shopping last weekend and saw the display from the OPI Hawaii Collection at ULTA. When I first saw swatches of these, I was going to pass on all of them. But for some reason, any time I see a brand new OPI display, my hands grab more than one of them. It's like my nails have a mind of their own. So, I wound up buying two, and I'll probably go back and buy more, because I'm an addict like that. This is a basic pale pink cream. 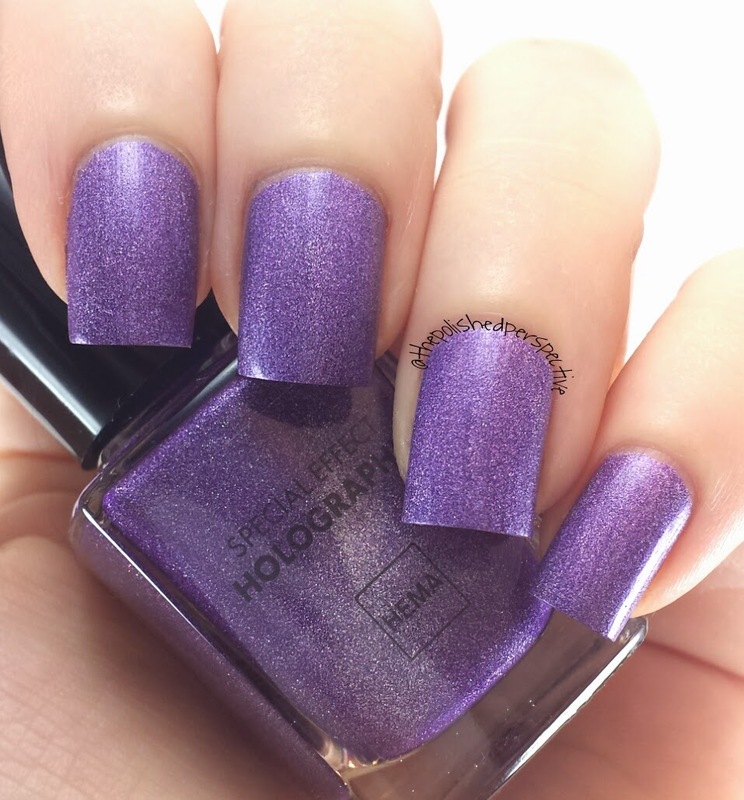 I don't even have to go through my stash to know I have a similar, or exact dupe, for this polish. It went on in three coats. I didn't have a problem with this formula. 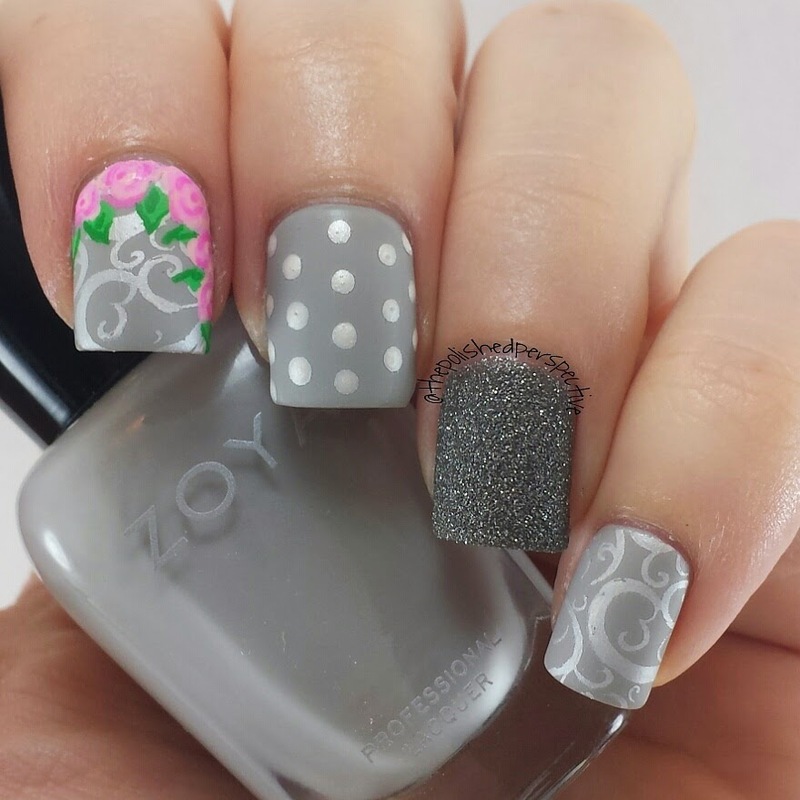 My accent finger for this look, was created using Pueen leisure plate and upcoming M Polish stamping polish. This medium toned purple cream is awesome. I love this cream. It went on in one coat, but the perfectionist in me applied two. 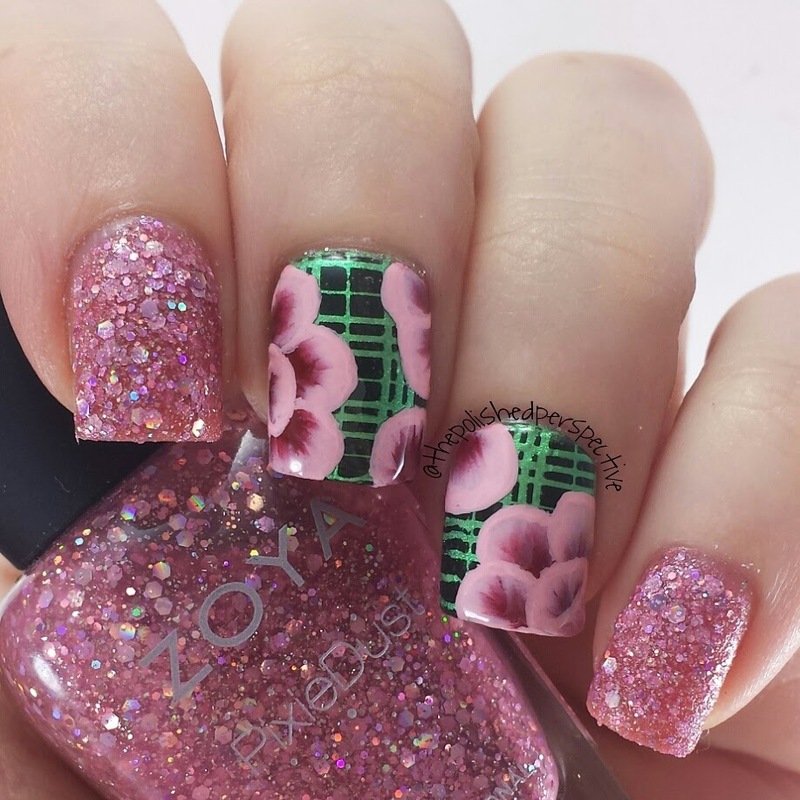 This will be a great stamping polish. 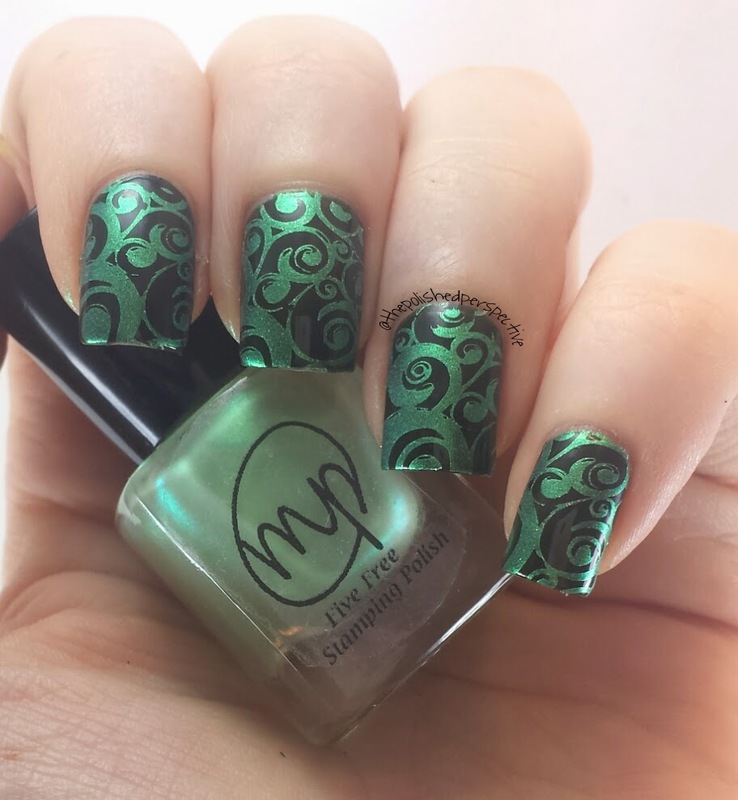 I created the accent nails using Pueen leisure plate and Mundo de Unas stamping polish in Spring Green. I'll probably end up buying more of the Hawaii Collection. They all looked really nice. Well, all of them but Pineapples have Mixed Peelings. I'll wait until its under $1 in the ULTA clearance bin, because, let's be real, that's where it's headed. Also, on this shopping trip I bought OPI Tourmaline, some Sinful Colors Crystal Crushes, Sinful Colors Dream On (OG formula), OPI Original, OPI Sapphire and OPI Shimmer. I'll be blogging about those amazing finds soon. Also, check out my Instagram page for swatches. 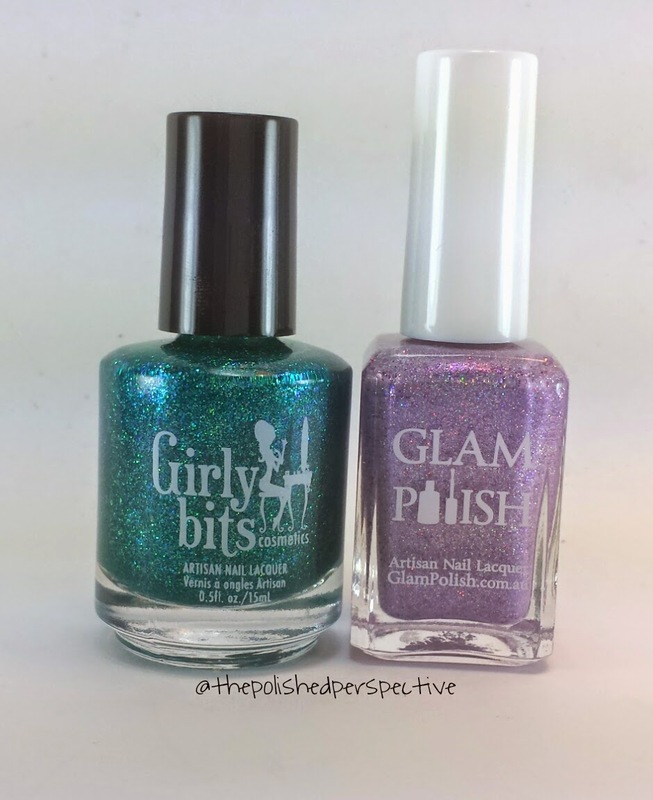 Glam Polish released a Limited Edition line of polish titled "Over the Rainbow Flakies Collection Part 1, February 2015. The line consists of five beautiful shades inspired by the song "Over the Rainbow" by Israel Kamakawiwo'ole. 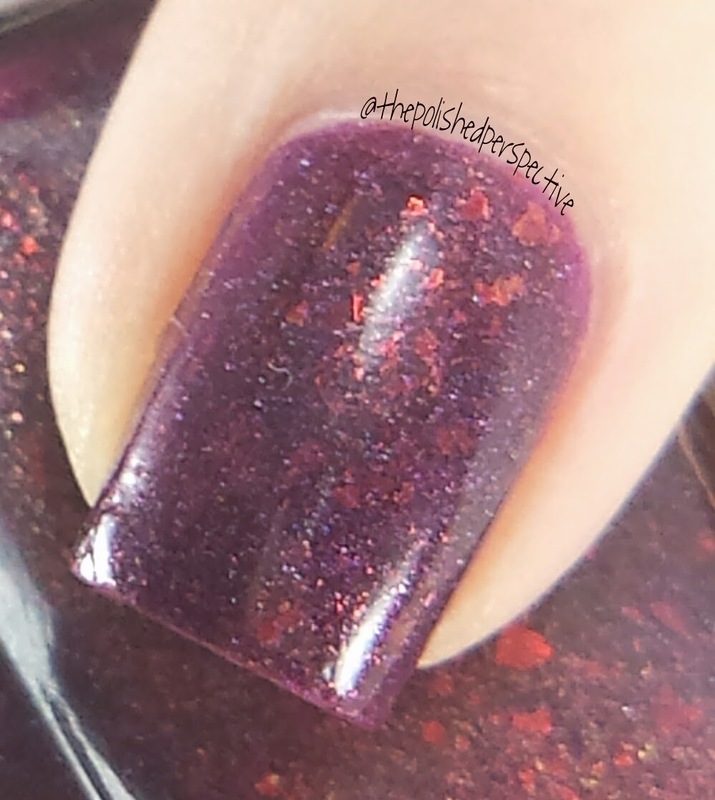 I purchased, Ohana, a burgundy jelly with iridescent flakies, gold shimmer, AND scattered holographic effect. It hits you like BAM! 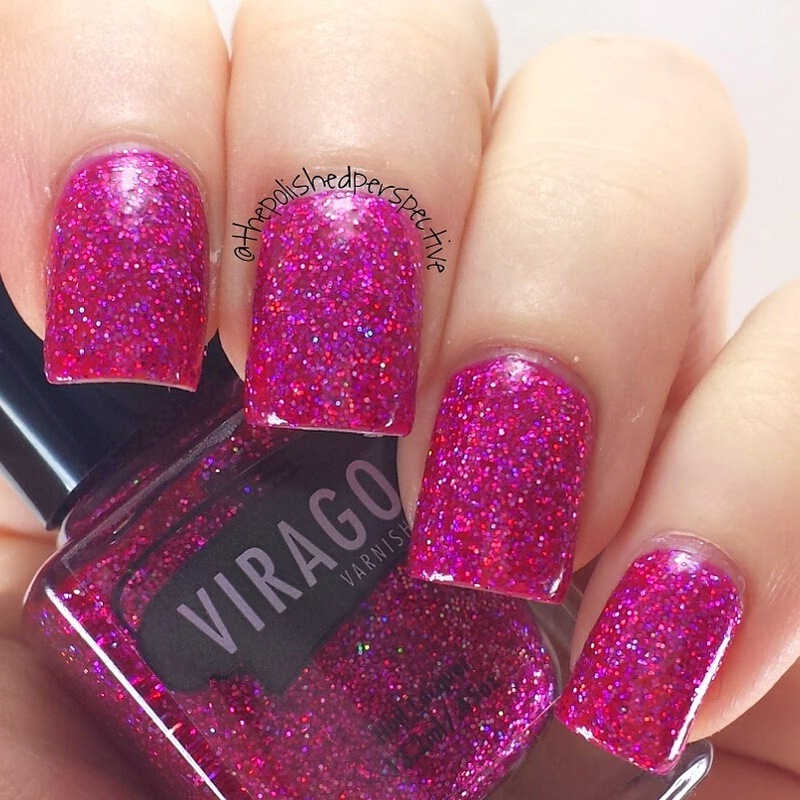 This is a polish you have to experience in real life to appreciate the beauty. If this is Part 1, I can't wait to see Part 2 and Part 3! I happened to be at the right place (my laptop) at the right time (February 6, 2015 at 11:00 am CST) to score this fantastic exclusive duo from Harlow and Co. I don't usually luck out and get these type of exclusives, as they sell out in, what seems like, seconds. But, I snagged this one and I'm super stoked! 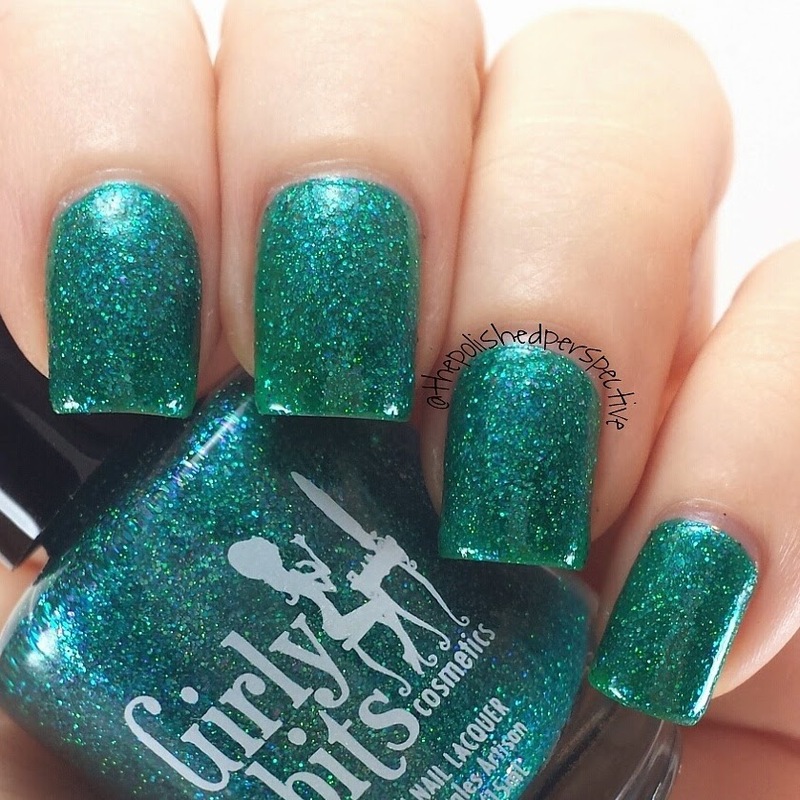 I'm not a huge fan of greens, but this dark green jelly microglitter, appeals to me. 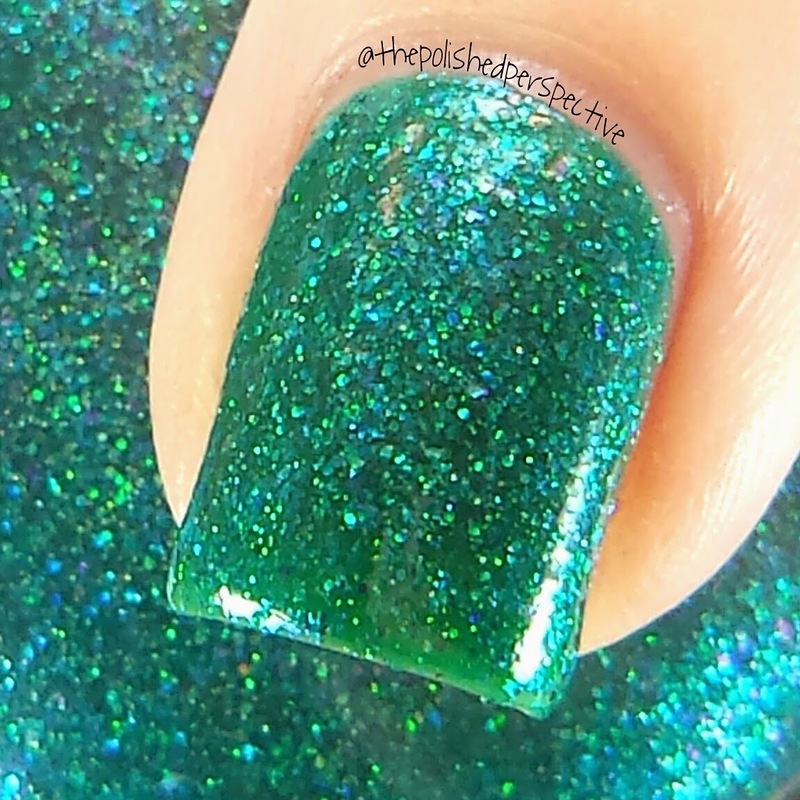 I have found myself LOVING any jelly with microglitters but this shade of green is just beautiful. This is two coats with a top coat. Gah! So Pretty. This crelly is so pretty, I can't handle it. 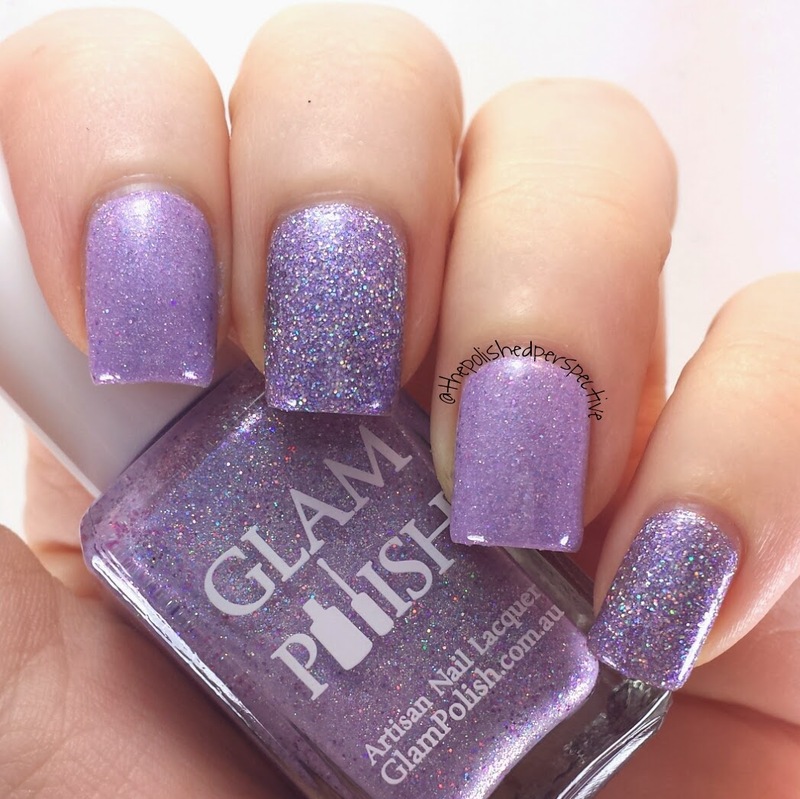 I like this type of finish and the fact that lavender is my favorite color, makes this polish one of my current favorites. 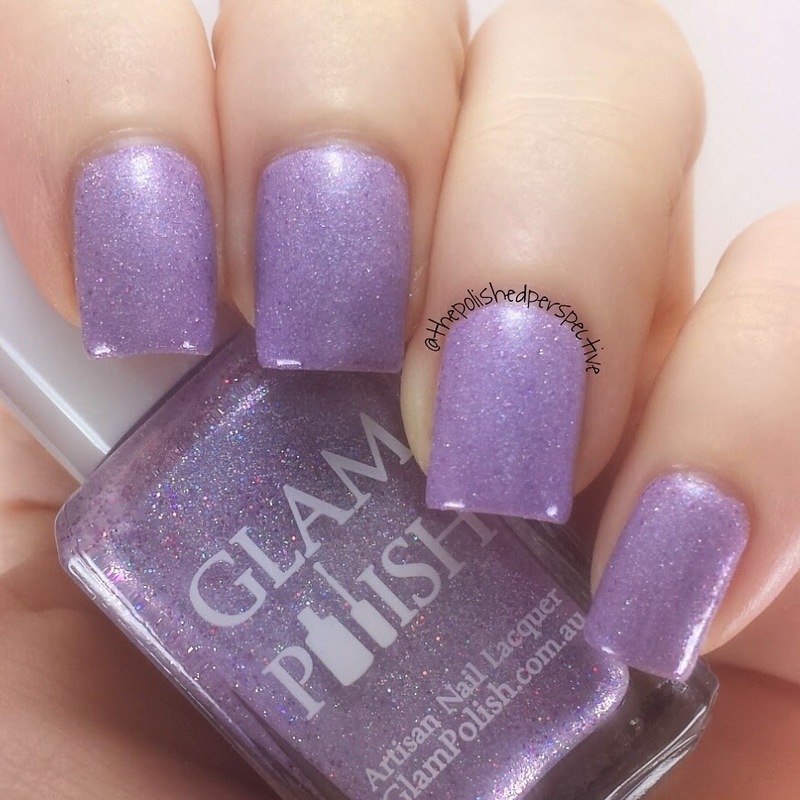 But, when I got it, I immediately thought of Glam Polish Whirlwind. I hoped they weren't too similar, so I swatched both of them for comparison. On my index and ring finger are Ocean Air and Salty Hair. On my middle and pinky are Whirlwind. To me, Whirlwind looks like Ocean Air and Salty Hair's stripper sister. It's similar in shade but completely different in finish. 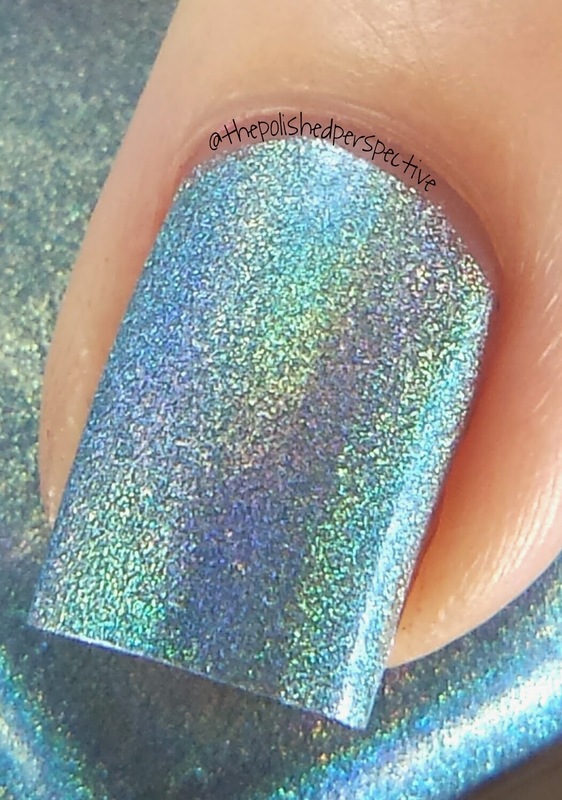 Ocean Air and Salty Hair is a crelly holo with purple microglitter and a lot of glass flecks (which you can see in the outdoor pic). 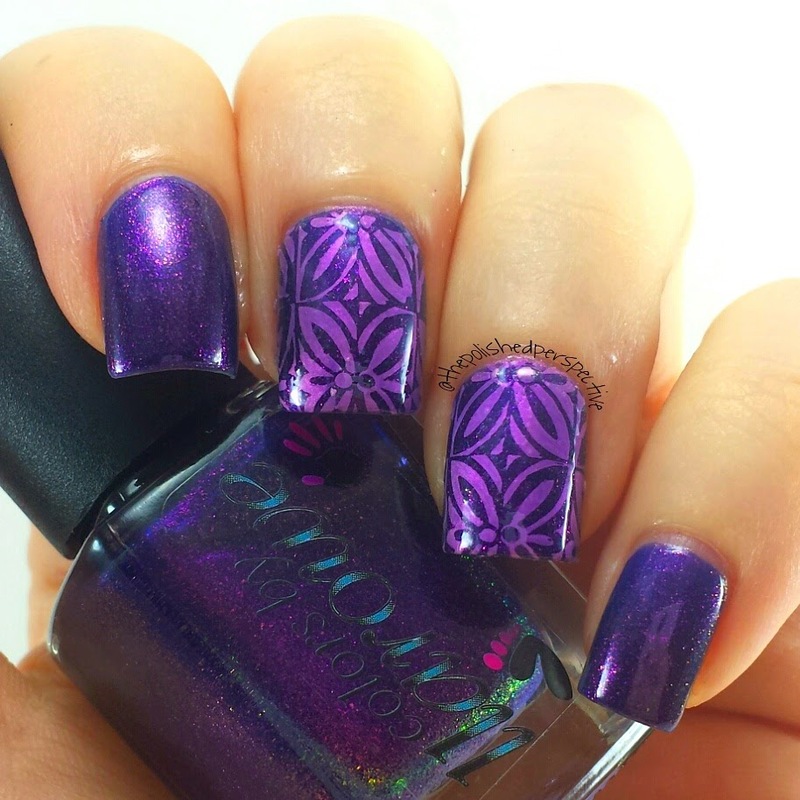 Whirlwind is a silver holo microglitter with a lavender jelly tint. Both are super gorgeous. I can't pick which one I love more. Overall, I'm really happy with this purchase. This was my first Girly Bits purchase and I'm really happy with the quality as well as the look of the polish. 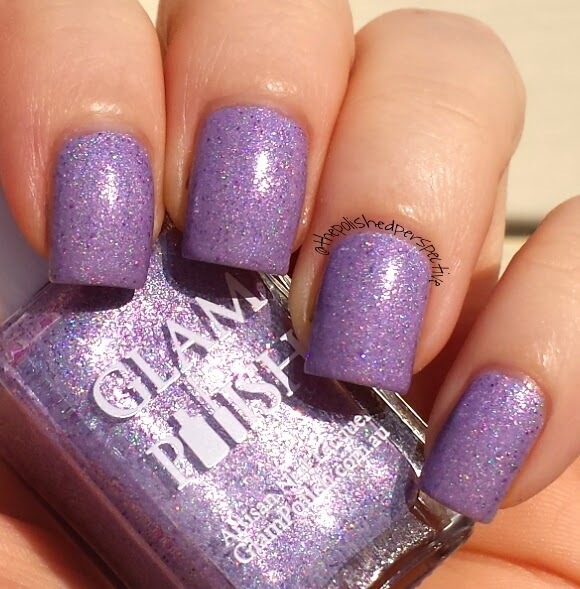 And, Glam Polish is my current favorite indie polish brand, so I love everything they do. I was recently lucky enough to participate in an international nail polish swap. This was my first ever swap and I was not disappointed. 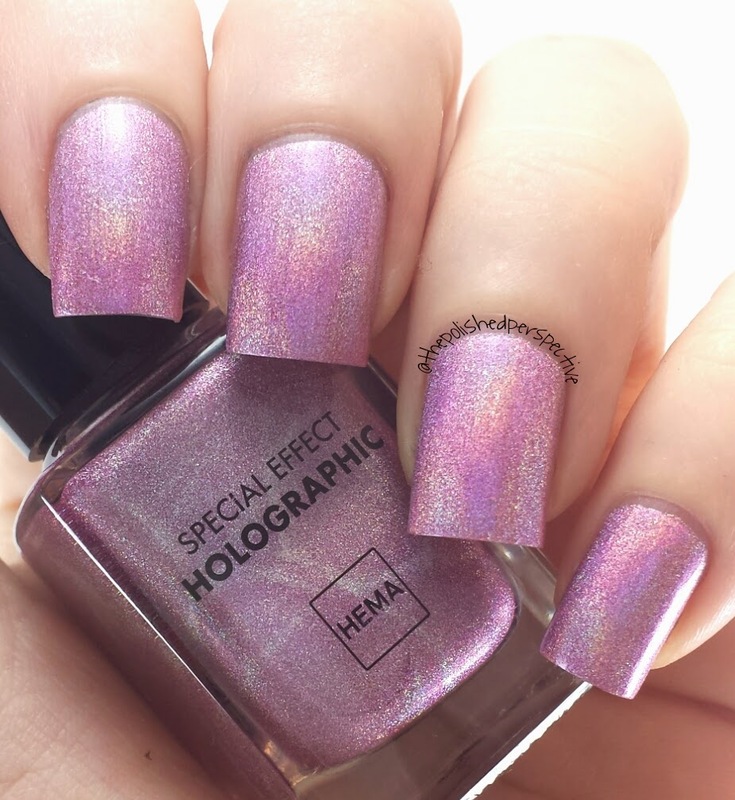 I received six holographic nail polishes by Hema. 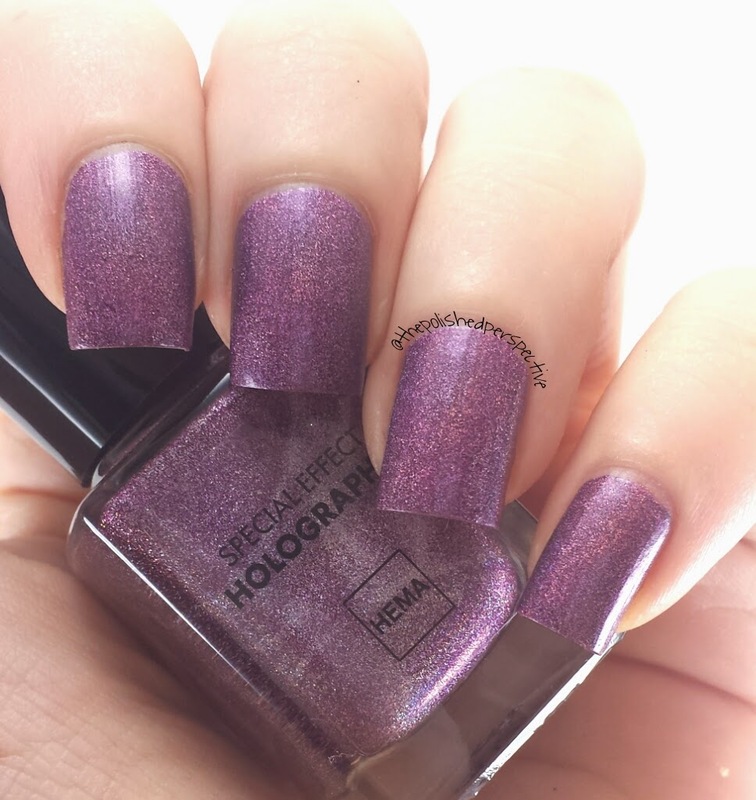 The swapper said this is the complete line of their holographic polish. 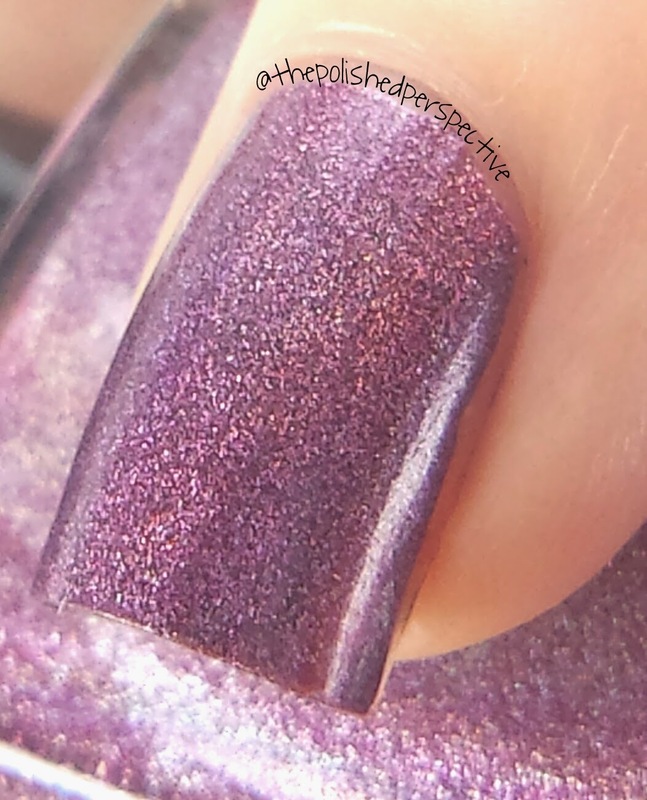 Here's the swatches with a macro and then I'll tell you more about this swap. These polishes are beautiful. I love them. I really enjoy the look of linear holos. Some are more holo than others. Purple and Bordeaux were more of a scattered holographic but still beautiful. I really can't decide which are my favorite and I can't really say anything but positive things about them. Can you believe these are around $4.50 when converted to American dollars? I paid $12 for a dupe of Copper and Bordeaux from an indie! Hema is a store in the Netherlands that is described as a discount dime store by Wikipedia. So, like the equivalent of a Dollar General, is what I'm assuming. 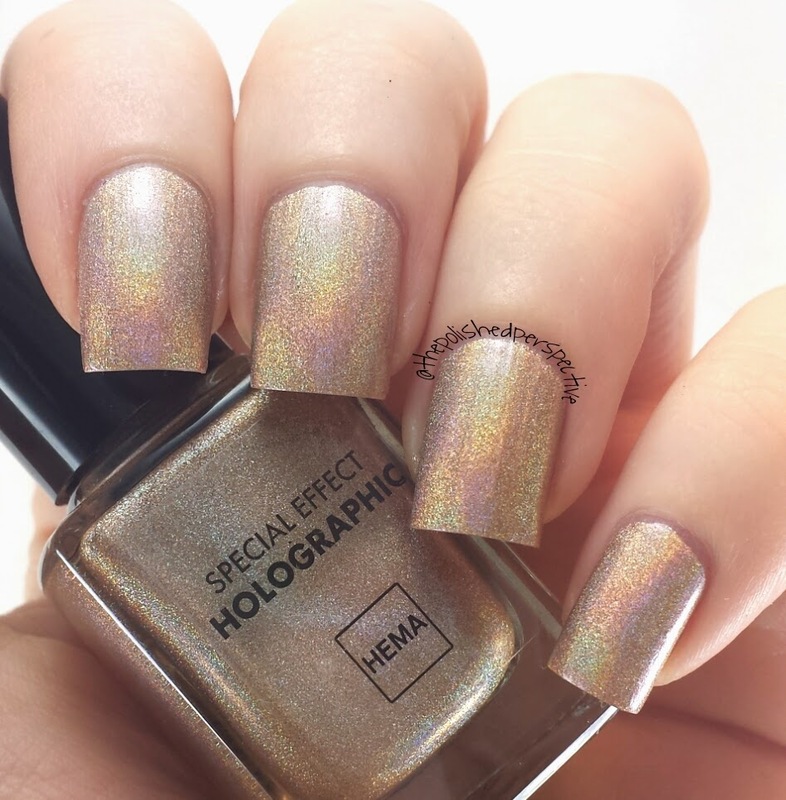 I wish one of our dollar stores in America would come out with a line of holographic polishes. Could you imagine? I'd wipe out the stock in our tristate area if that happened. I can dream! In case your interested, my swap partner also sent some goodies for me to munch on from the Netherlands. She sent stroopwafels. Mmmmm. Stroooopwafels. I used to gorge myself with those in college, when my friend's mom would send them in care packages. She sent some fruit flavored cookies and chewy nerd type things. Unfortunately, I opened the box of goodies in front of my kids and they ate most of it. Next time, I'll open a goodie box after they go to bed! 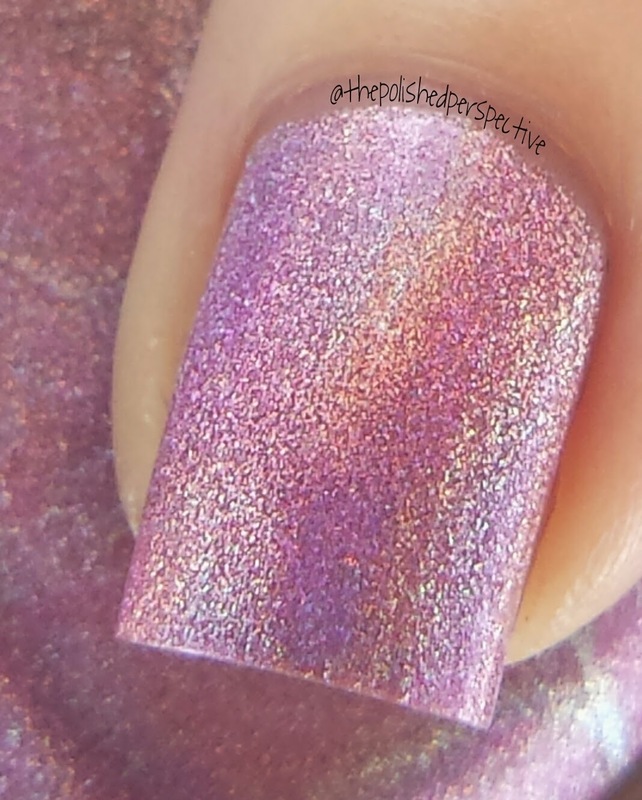 I have the pleasure of swatching and reviewing the entire Spring 2015 of the M Polishes maiden launch. I'll start with the swatches and then go into information about M Polishes and this collection. Starflower. The blue of the collection. It is really this vibrant and glowy. Bells of Ireland. A vibrant emerald green. Apple Blossom. A beautiful pink. Apricot Delight. Light orange, you know, like apricot. Sweet Clover. This is a chameleon. It's a yellow in the bottle but it's a light green stamped over a dark color. That's it. All of the M Polish Spring Line for your enjoyment. Okay, so the important information. The finish of the polish is pearlescent. 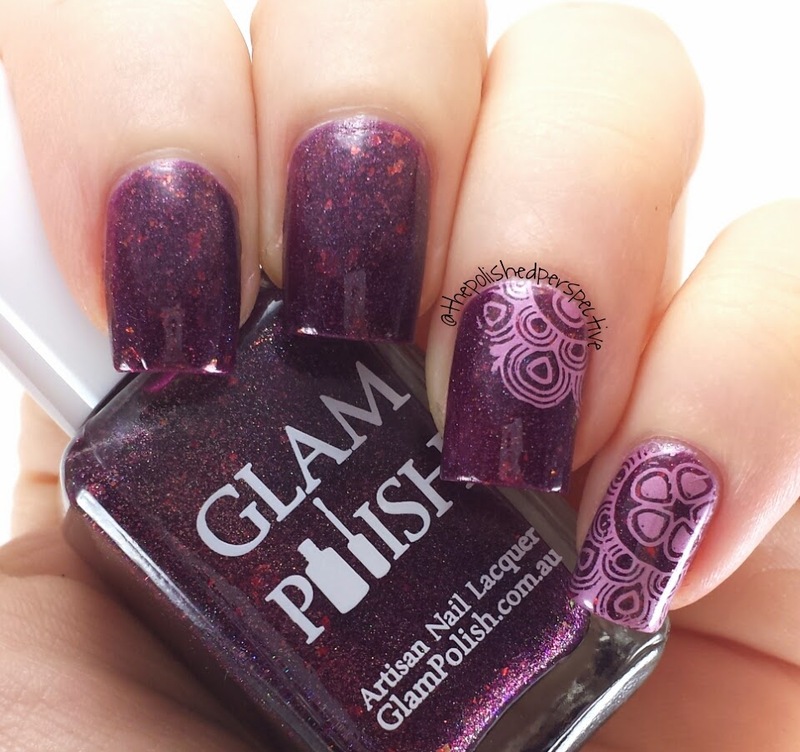 I found they worked best with a dark colored stamper head, as the polish is translucent until stamped over a dark color. These are 5 free and cruelty free. The release date is set for February 17, 2015 at 9:00 a.m. EST. If you miss the launch and aren't able to snag any of these, she stated she will restock as soon as possible. 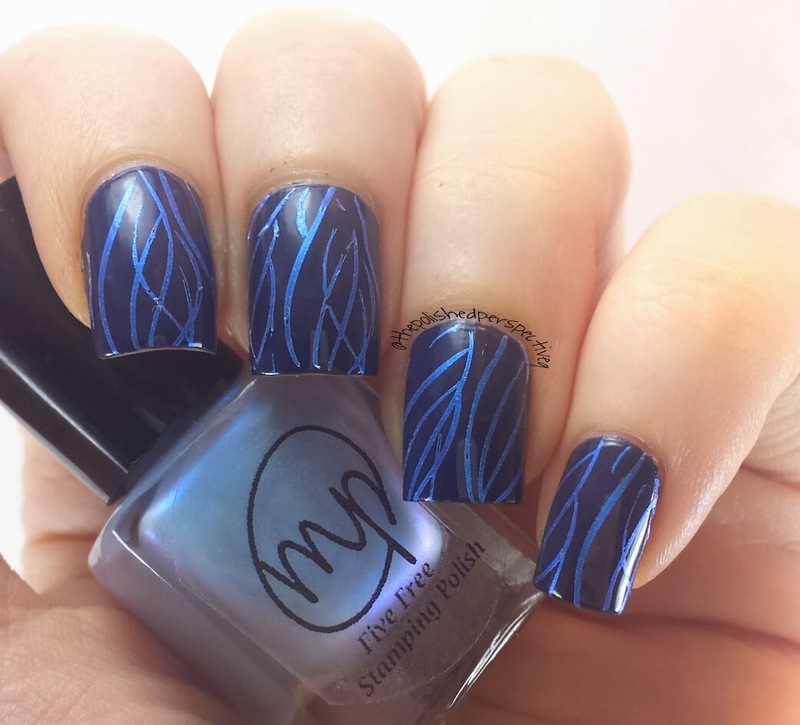 You will be able to purchase these at www.mpolishes.com. At the time of this entry, the site was not up. She assured me it will be up soon. Full size bottles will be $6.50/each. Full collection (11mL) is $36.00. Mini size bottles will be $3.25/each. Full collection (5mL) is $18.00. She is offering shipping in the USA and Canada (eh!). And I'm irrationally excited to announce, I will be hosting a giveaway of the whole collection!!!! Woo hoo!!! Follow me on IG @thepolishedperspective and I will have details posted in the very near future. I really like this collection. 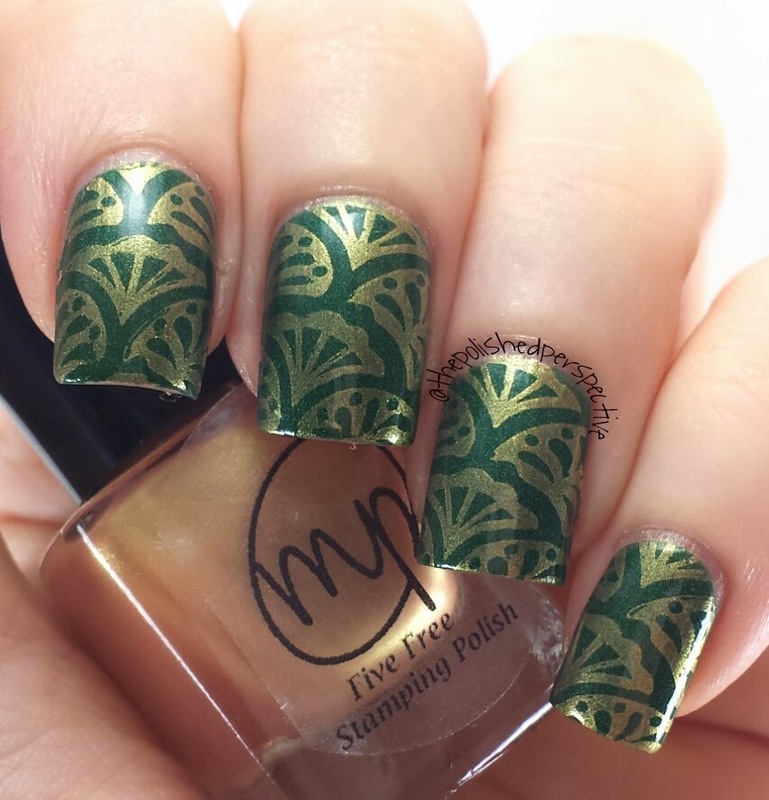 I'm a big fan of stamping and this collection has allowed me to use bases and different combinations that I wouldn't have been able to achieve without M Polishes. Any stamper would love these for their stash to add diversity to their manis. Thanks for reading!!! Good luck with the launch Mega!